Shopping for someone else but not sure what to give them? 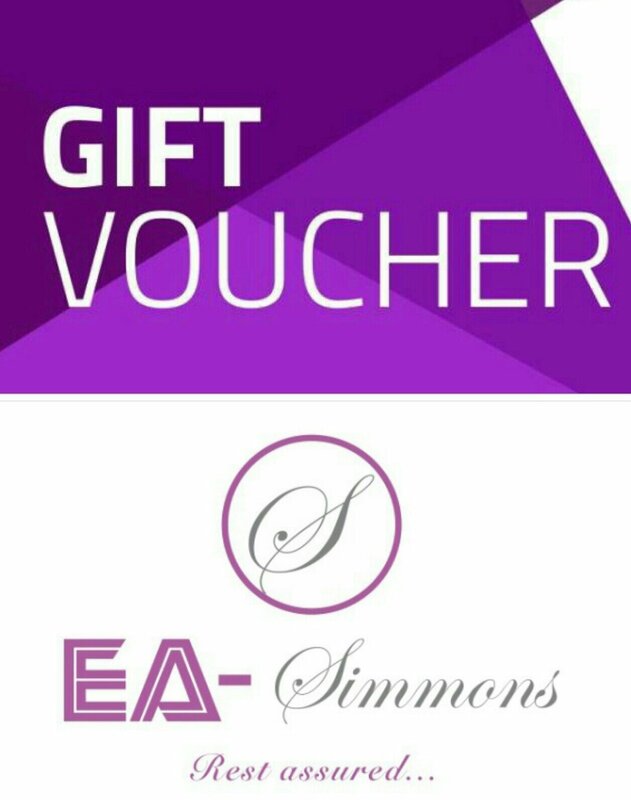 Give the the gift of choice with a EA-Simmons gift card. Gift cards are delivered by email and contain instructions to redeem them at checkout. Our gift card is the perfect gift for anyone who likes to sleep. Gift vouchers can only be used once, gift vouchers expiry date is 12 months within the date of purchase. your gift card can be redeemed at checkout by writing the name of the giver of the gift card in the order comments section as it was written when buying the gift card, with the dates, value of the gift card, and the codes.